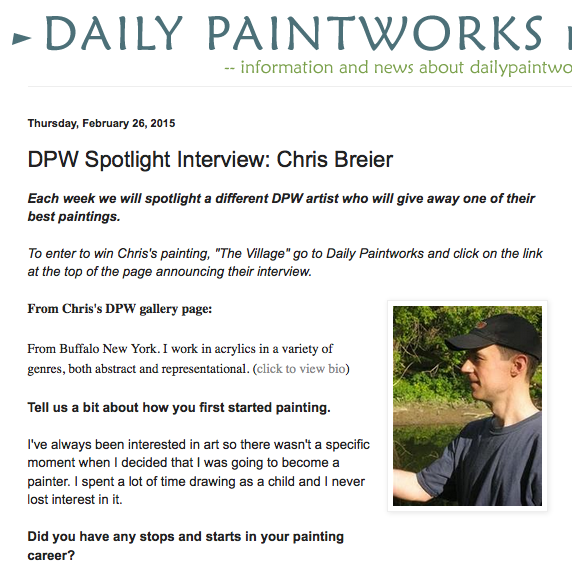 I have been selected for the Daily Paintworks Spotlight Interview for this week. If you bought a painting from Daily Paintworks in the past 30 days you can enter to win my watercolor painting- "The Village." Thanks everyone at Daily Paintworks!